Flatbike offers four models of folding full-size bike and numerous accessories to help make biking easier. Here are ridable, everyday bikes that fold conveniently into Uber trunks, elevators, stairwells, metro trains, apartments, office cubicles—places where a typical bike gets in the way. Every day, countless commuters make their way to their jobs. Some take a train or subway while some carpool. Others choose a bicycle as their favored mode of transportation. 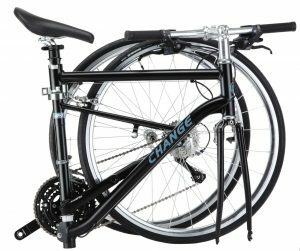 The CHANGE Bike 702 lightweight commuter bike is great any time you want a folding street bike that you can carry and keep at your desk. It can be folded in seconds and fits in any back seat or car trunk. 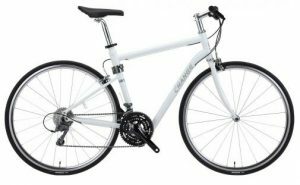 The CHANGE Bike 702 lightweight commuter bike is ideal for commuters. Technically, front shocks make this a mountain bike. But you don’t have to ride it that way. 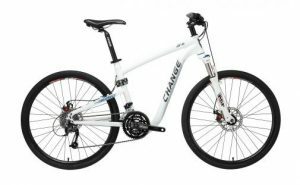 With wide street tires and 27 speeds, the CHANGE Bike 609 can just as easily be the easy-riding version of the CHANGE Bike 611 folding rugged hybrid, using front shocks to even out everything from potholes to speed bumps and curb jumps. Then stow it in the car or cubicle because you can; it’s a CHANGE Bike! Can a folding bike handle trails, ascents and descents? This full-size foldable bike can. 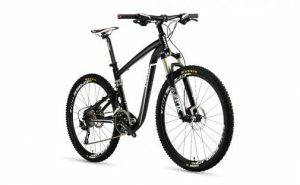 It’s just as much a regular bike as any other, yet only takes a minute to break it down or set it up. The CHANGE Bike 611 rugged foldable hybrid bike can handle gravel roads or city potholes, so if you like to ride in a variety of places, this bike gives you the freedom to explore. Today’s full-size folding bikes have come a long way since the first portable bicycles that appeared in the late 1800’s. 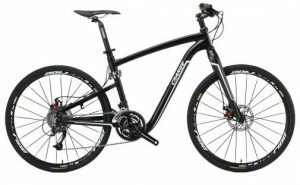 Our CHANGE Bike 612 model offers the characteristics of a rugged, high-end mountain bike, with the added advantage of maximum portability and convenience. It can fit in the backseat or trunk of your car, yet it’s tough enough for the most challenging terrains. Where will you ride? 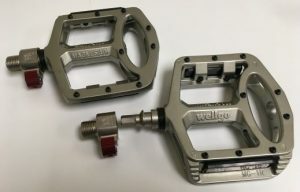 Pop-off pedals give you a flatter profile when storing your bike and helps you avoid catching your shins in your apartment, garage, or cubicle. It takes only seconds to remove them or put them on your bicycle. 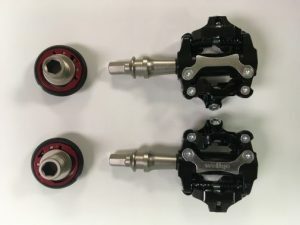 They’re also great if you share a bike and one person likes toe cages and the other one doesn’t, or maybe you like one pedal type for long, smooth rides and the other for unpredictable trails. Usage: For any bike, anytime. This is a great add-on when you don’t have enough width for the handlebars. 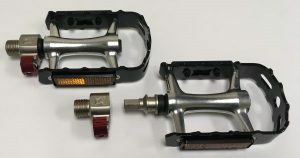 In keeping with Flatbike’s mission, echoed in its name, this add-on stem pivots handlebars 90 degrees in seconds with no tool so your bike can easily fit against a wall. NOTE: These replace “threadless” stems. 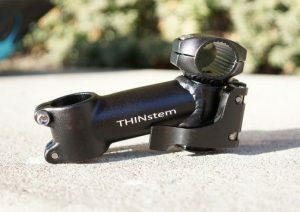 If your bike is older, and has a “quill” stem instead, you’ll need a threadless adapter first. If you’re transporting your CHANGE bike by car, bus, train, or private plane, the included soft case should work fine. 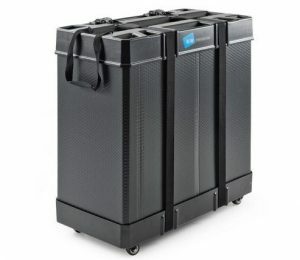 But, if you’re worried, or if you’re using commercial air, you’ll want an abuse-proof hard case so you can travel or ship your bike and not worry about it being damaged in transit.